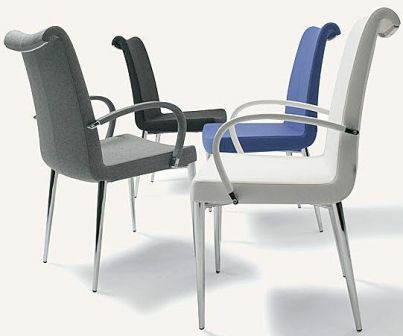 Tulip Side Chair (shown in front of photo WITHOUT arms) with Chromed Steel Base by Soho Concept Furniture. 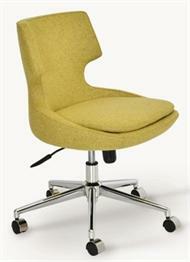 Matching Tulip Arm Office Chair with Rolling Base and Tulip Arm Chair available on this site. 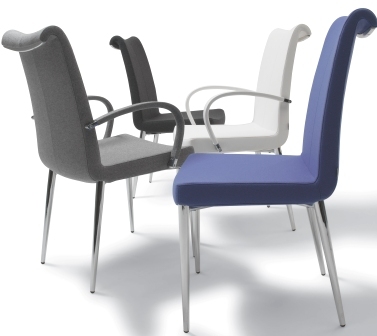 Tulip Arm Office Chair with Rolling Base: H 35 - 38" W 18" D 24" Seat H 15 - 18"
Tulip Side Chair: H 37" W 19" D 25" Seat H 18"
Designed by Tayfur Ozkaynak, Tulip Side Chair is an elegant dining chair, restaurant chair, conference chair, lobby chair or hotel chair with a comfortable upholstered seat and backrest on chromed steel tube legs which are plastic tipped. 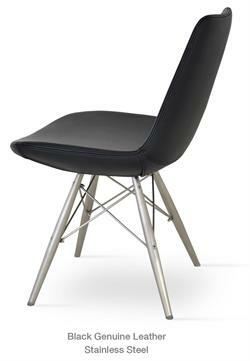 The stylish curved backrest of Tulip Side Chair is trimmed with a chromed steel detail that makes the chair look more elegant. 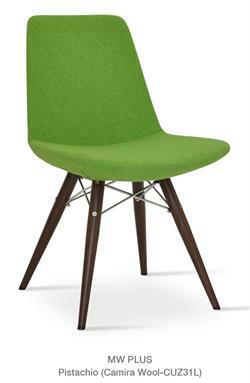 Tulip Side Chair seat has a steel structure with S shape springs for extra flexibility and strength and the seat is upholstered with a removable velcro enclosed leather, leatherette or wool fabric cover. 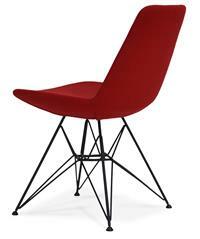 The chair is suitable for both residential and commercial use. 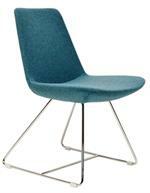 Tulip Side Chair can be upholstered with Maharam Kvadrat fabrics as a special order (minimum 25 chairs). 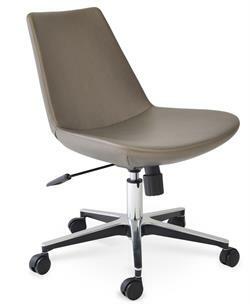 Matching Tulip Armchair Office Chair with Rolling Base and Tulip Armchair available from Soho Concept Furniture on this website. Soho Concept reinterprets mid-century furniture designs of architecture's greatest talents, such as Richard Neutra, George Nelson, Charles Eames, and Eero Saarinen plus creates unique modern furniture designs for contemporary furniture settings for home furniture, office furniture and hospitality furniture settings. Soho Concept Furniture is a cutting edge residential and commercial furniture supplier which aims to bring the true meaning of quality modern furniture design and value to end users and designer communities. 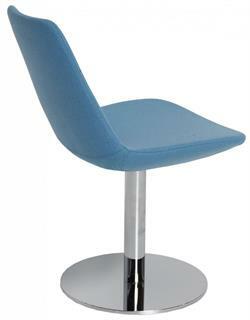 Soho Concept Furniture offers a variety of modern furniture of high quality at a reasonable price. Soho Concept Furniture offers dining chairs, side chairs, desk chairs, dining tables, coffee tables, side tables, barstools, counter stools, sofas, and lounge chairs for home furniture, office furniture and restaurant furniture settings. 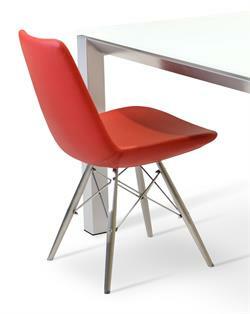 Tulip Chairs by Soho Concept Lead time: Most items in-stock and ship in 7-10 days after you order. 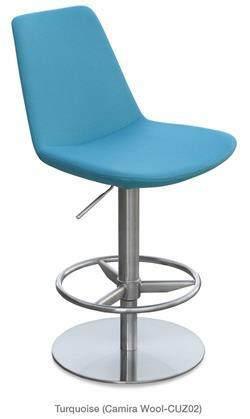 Accurato is an authorized dealer of Soho Concept Furniture products. 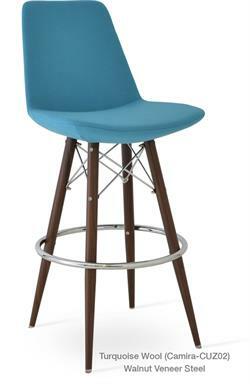 We carry the FULL line of Soho Concept lounge chairs, side chairs, barstools, counter stools and tables so call or email if you don't see what you are looking for. Clients LOVE our fanatical customer service!